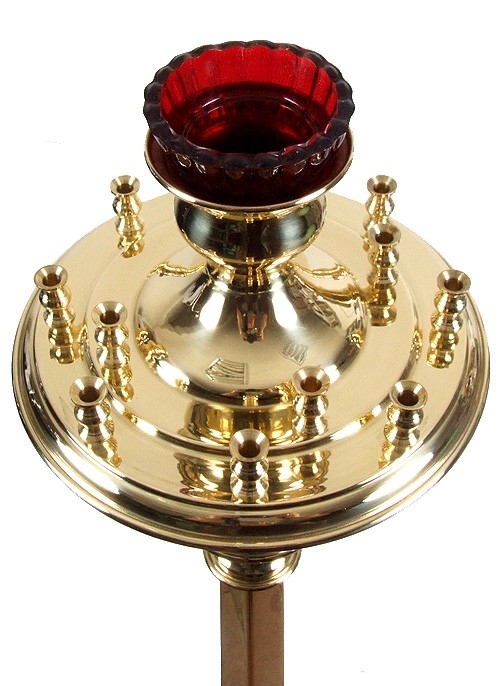 Excellent traditional church floor candle stand for 12 candles. Brass, casting. Size: 8.7''x51.2'' (22x130 cm). For 12 candles with diam. 0.32'' (8 mm). Custom-sized candle-holders are welcome.